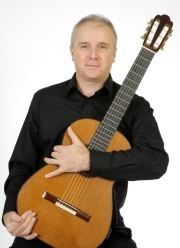 Guitarist and composer Brian Head chairs the classical guitar program at the USC Thornton School of Music in Los Angeles, California, where is also the Assistant Dean for Academic Programs. He has subsequently received several honors as a teacher including the Thornton School’s highest faculty honor, the Simon Ramo Faculty Award. 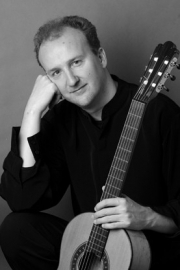 Brian Head is currently an Artistic Director of the Guitar Foundation of America. As a composer, guitarist and performer of his own works he is a winner of many national and international competitions. Among others, he has won the European guitar competition »Enrico Mercatali« (Italy), the »Guitar Art Summer Fest« international competition (Montenegro) and the »Temsig« national competition (Slovenia). In the last 5 years he won more than 40 prizes in many international competitions. Since 2006 he is teaching at the Music Academy of University of Sarajevo. His students have gained worldwide attention with their successes at international competitions and concerts throughout Bosnia and Herzegovina and abroad.